Designerlebrity™ is known for spotlighting celebrity interior designer news and headlines here on Designerlebrity.com, but now we've expanded the brand to spotlight our industry partners on national television! Who doesn't want to shop like their favorite interior designer and learn where to get the goods? Our #shoplikeadesignerlebrity TV segments have garnered much attention and our features with direct links to each product displayed makes it easy for viewers to shop well... like a Designerlebrity! 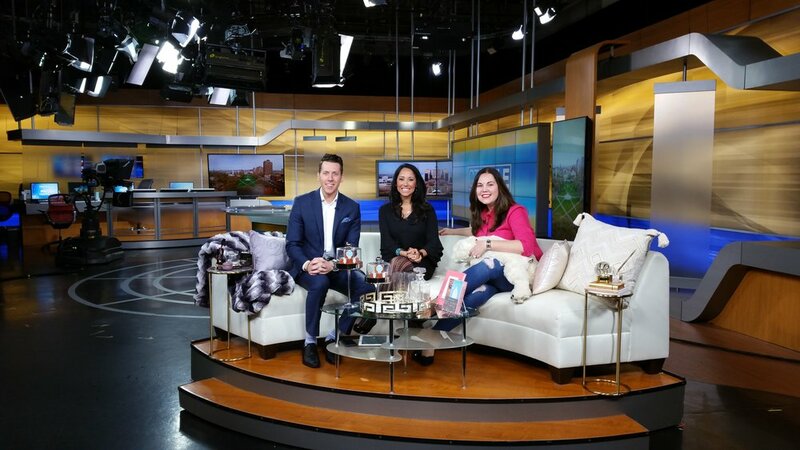 Ink Pillows, Diane James and Replacement LTD.
We took over the CT Style Talk Show set to show off romantic and fun ways to celebrate Valentine's Day at home! From cuddling with soft blankets, bears and pillows to fun games like X O tic-tac-toe and a "Drinking Bird", all thanks to our #shoplikeadesignerlebrity friends at ZGallerie. When a segment is so good, it needed to be shared again. This time we spotlighted unique Valentine's Day & Galentine's Day gifts with our friends at NBC CT. Thanks to our #shoplikeadesignerlebrity partners, Inkpillows.com, Diane James Home and Replacements LTD.
Our first visit to Bmore Lifestyle TV was to spotlight unique Valentine's & Galentine's day gifts inspired by interior design home decor items. Thanks to our #shoplikeadesignerlebrity partners, Inkpillows.com, Diane James Home and Replacements LTD.
ZGallerie Mitchell Gold & Bob Williams, Ink Pillows, Diane James and Replacements Ltd.
Every year, Pantone announces the color of the year and this year it's so ultra. Ultraviolet that is. Barbara Viteri shows you how to introduce the color into your homes and add a little personality. 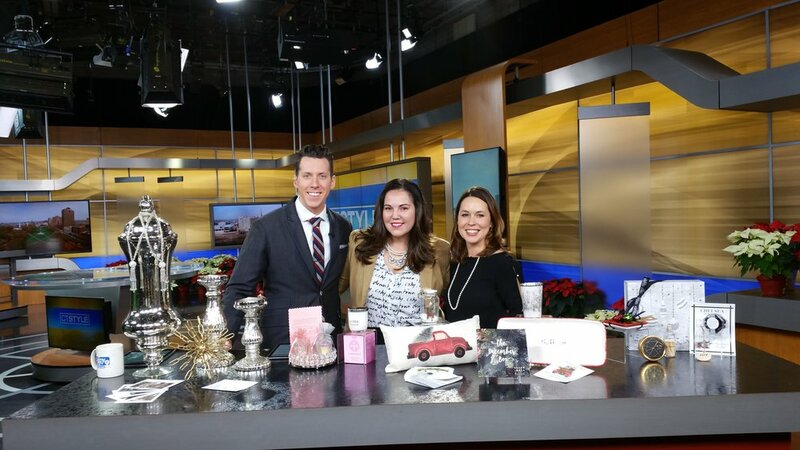 Thanks to our friends at ZGallerie, Mitchell Gold & Bob Williams, Ink Pillows, Diane James Home and Replacements Ltd.
Designerlebrity's Founder-In-Chief, Barbara Viteri stops by NBC Connecticut to share strategic tips and her actual last minute shopping gifts on air! Here's a hint: One-Stop-Shop with #shoplikeadesignerlebritypartners H&M Home! Want to learn the secrets on how to slay your sleigh this holiday season? Well put the thought back into a thoughtful gift by subscribing to the best home decor subscriptions box companies and shopping small business! We spilled the tea on the hottest home decor design companies curating the best gifts for you and your love ones on CT Style. Big thanks to our secret elves, Inspire Me Home Decor, Posh Home Box, Third & Main, and Chelsea Square. Put away the white plates this holiday season. It's time to celebrate the holidays in style by bringing back the festive looks and appeal in our holiday tablescapes. LIVE on Connecticut's CT Style were elegant and season themey display of tableware all provided by our friends, Replacements Ltd.
"Honey, what's this? What's going on? What's happening?" We had a blast in our Karen Walker drag talking about our excitement of the return of the Will&Grace show and our upcoming premiere viewing party. Our segment was not complete without the Karen Walker inspired martini tray assemble. All provided by our friends at ZGALLERIE. From pillow talk to pillow fight! Our segment showing off the hottest pillow creations by a few fabulous designerlebrities was sure to entertain. It all went down on Connecticut's CT Style with literally a face plant hit! All stylish pillows provided by designerebrities, Kathy Ireland, Aviva Stanoff and Aureille Jones. Our segment for Good Morning Washington showed viewers how designerlebrities incorporate luxurious items into homes. From soft faux fur pillows to decadent serving trays that are food safe, these glamourous goods were all provided by our friends at Mitchell Gold and Bob Williams. Just in time for summer! Our segment on Good Day Baltimore showed viewers how designerlebrities love to spruce up homes for the summer. Focusing on conversational pieces like a nod to NYC with apple clusters to versatile pieces like the woven wicker basket that can hold more than magazines, but towels for your guests and cozy merino blankets for the occasional chilled summer nights. All provided by our friends at Ethan Allen. Designerbrities like to show off their quirky side like ensuring you get more champagne in your stemless champagne glasses to hiding your candies in a brass turtle! So our segment for Philadelphia's Morning Extra was a fun delight to spotlight these goodies. All provided by our friends at Ballard Designs. If you are a retailer or an interior designer with an online and/or brick and mortar store that sells home decor products and would like to participate in our #shoplikeadesignerlebrity TV segments, you can contact us HERE. Our #shoplikeadesignerlebrity segment package includes a table presentation on various television networks, morning talk shows and streaming networks, a Haute Topics product link full article feature on Designerlebrity.com and promoted on all our social media platforms. Your customers will love your designerlebrity side and want to shop just like one!